What??!?!? Zinfandel from Lodi???!?! No, I haven’t gone crazy. Here’s the story... I had an opinion about Lodi Zin based on the few I’ve tried but was largely ignorant of the area as an AVA. But when our good friends Tegan and Olivia Passalacqua purchased this vineyard in 2012, I was intrigued. First, Tegan is one of the finest organic farmers I know. I call him the “Vine Whisperer”. Secondly, the vineyard was planted in 1916. Nearly 100 years-old! Thirdly, with soils of nearly pure sand, the old vines are on their own roots (i.e., they’re not on rootstock, Phylloxera can’t live in sand). Very rare in California. Finally, and this really surprised me, even though we’re talking Central Valley, the vineyard’s climate is surprising cool, cooler than some areas of Sonoma and Napa. How could I resist?!!? And the result? One of the most Burgundian expressions of Zinfandel I’ve seen. 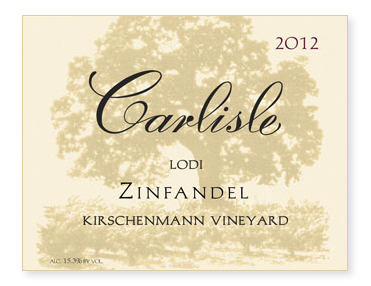 This is not your father’s Lodi Zin!